Northern Ireland-based human rights group, the Committee on the Administration of Justice (CAJ), has now written to European Commission President Jean-Claude Juncker seeking urgent clarification amid concerns that draft policy for Northern Ireland “departs from the commitments” made by the UK and the EU. The concerns come amid wider fears for the protection of human rights and equality after Brexit, but while such issues go to the heart of the peace process, they are being overshadowed by economic concerns in the Brexit debate. In the correspondence, seen by The Detail, CAJ said it is concerned that the Commission is departing from the commitments made in Paragraph 52 of the EU-UK Joint Report published in December 2017 to frame the Brexit talks. Paragraph 52 states: “The people of Northern Ireland who are Irish citizens will continue to enjoy rights as EU citizens, including where they reside in Northern Ireland. Both parties therefore agree that the Withdrawal Agreement should respect and be without prejudice to the rights, opportunities and identity that come with European Union citizenship for such people and, in the next phase of negotiations, will examine arrangements required to give effect to the ongoing exercise of, and access to, their EU rights, opportunities and benefits”. Despite that commitment to the 'ongoing exercise' of rights, President Juncker told the European Parliament at the end of June: “Irish citizens in Northern Ireland will no longer benefit from United Kingdom’s participation in Union programmes, policies and activities when this participation ends following the United Kingdom’s withdrawal from the Union”. CAJ’s correspondence said it is “concerned that the Commission’s response departs from the commitments in Paragraph 52 of the December 2017 EU-UK Joint Report, and given that this matter is subject to the current round of negotiations, seek urgent redress”. Many of the rights are dependent on residency within an EU state. The UK and EU would have to commit to a special arrangement to reflect the unique circumstances in Northern Ireland. The CAJ said the Commission’s position “also conflicts with the commitment to protect the GFA in all its parts”. The Good Friday Agreement had the overwhelming support of voters on the island of Ireland with 71.1% of those in Northern Ireland backing it and 94.4% in the Republic of Ireland. 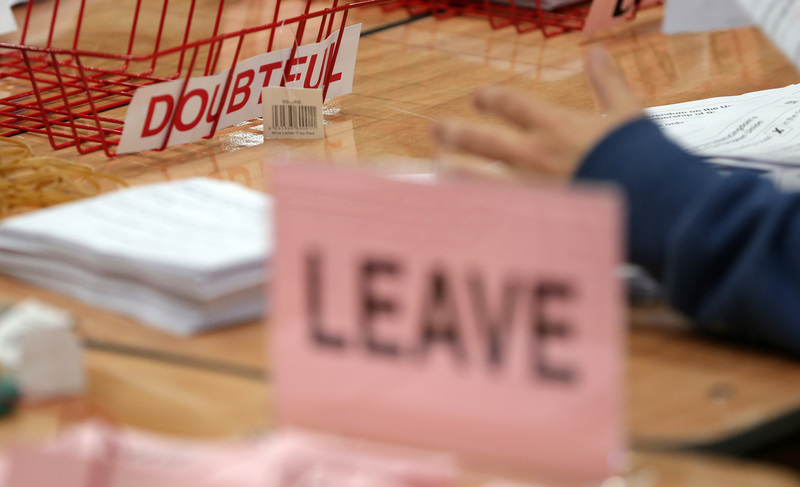 The UK as whole voted to leave the European Union, but in Northern Ireland 55.8% of voters backed remaining in the EU. In 2017 alone the Department of Foreign Affairs in Dublin received 82,274 applications from people in Northern Ireland for Irish passports – up from 45,646 in 2012. 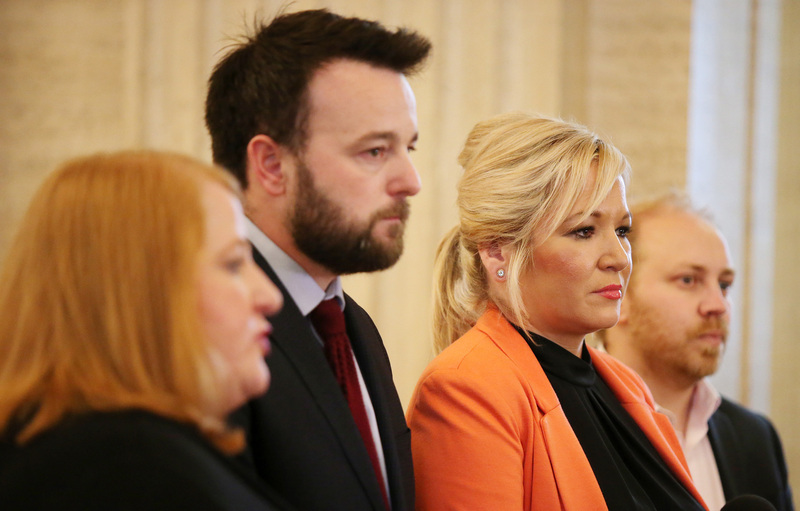 Wider concerns over the protection of rights in Northern Ireland were highlighted in June when a joint statement from the Alliance Party, the Green Party, SDLP and Sinn Féin expressed "profound concern that Brexit will result in further regression on equality and rights". Leading academics and human rights lawyers have also previously raised concerns over the risk of Northern Ireland losing protections. 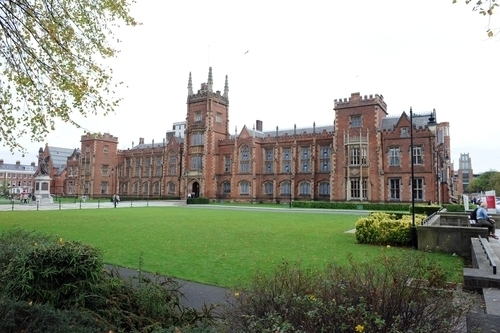 Professor of Human Rights Law at Queen’s University Belfast Colin Harvey told The Detail: “Paragraph 52 of the Joint Report can clearly be read as requiring a special arrangement for Northern Ireland that recognises that the vast majority of those living there will effectively remain EU citizens although they will be residing in a ‘third country’ post Brexit. “This is one of the unique circumstances of Northern Ireland that has attracted insufficient attention and urgent work is needed to ensure such persons do not lose their EU rights, opportunities and benefits as a result of Brexit. He added: “It will also become an even more prominent issue in the time ahead as people discover that things they thought were guarantees are simply not. In practical terms in Northern Ireland this is likely to increasingly manifest itself in the practical treatment of Irish citizens who have no wish to self-identify as British (in cases where that remains an option). “If Brexit is not to lead to a further diminution of rights, then it is hard to reach any other conclusion than Northern Ireland requires a special arrangement to ensure the commitments made in December 2017 are honoured. Northern Ireland residents risk losing citizenship rights linked to the Good Friday Agreement due to new policies being drafted for Brexit, experts have warned.